Waterway Ag has an excellent procurement staff who understands the supply and demand factors that affects our volatile markets today. With their experience, they are able to provide customers with the most useful information for their purchasing needs. They also implement various tools for customers to hedge their risk. The procurement staff has excellent, long standing relationships with international and domestic producers and traders to provide the customers with the most economical delivery of products. With the procurement and logistics staff working hand and hand, they are able to provide on time deliveries from point of production to point of consumption. Waterway Ag’s facility brings in both domestic and import products to warehouse. 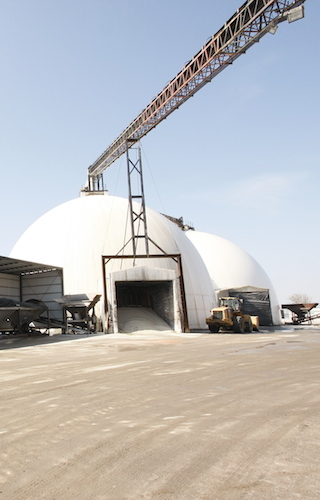 Products stored include Dap, Mes10, MesZ, Potash, Ammonia Nitrate, Urea, UAN and ATS. Waterway Ag can provide these products as well as Anhydrous Ammonia and various micronutrient products out of other terminals throughout the Midwest. Waterway Ag has also partnered with Ag Distributors to form an LLC called Mid States Ag Sales. Mid States’ territory includes, but not limited to, Eastern Indiana, Central and Eastern Kentucky, and Ohio. Mid States provides all of the N, P, and K products, as well as, micronutrient products out of various warehouses including, but not limited to: Owensboro, Henderson, Louisville, Jeffersonville, Cincinnati, and Nashville. Waterway Ag proudly serves the fertilizer needs of wholesalers within a six state region, with quality products and competitive prices.